Changes, Upgrades, Premiere Details... Oh My! While we don't know all the finger licking nitty gritty details, we do know about some really cool upgrades and changes to the upcoming season because yesterday CBS sent out an email to all Live Feed Subscribers! Did you not get it? Were you left out? And you call yourself a fan?! Shameful! Don't be left in the dark any longer. Get your Live Feeds TODAY! That time of year is once again upon us. That time where we shun the sunlight, lock ourselves away from the outside world and stare glassy-eyed at 13-16 strangers as they galavant across our monitors and chomp incessantly on Cheez-its. It's our favorite time of year! And let me tell you, it's an even better time of year when you can get in on all the hijinks at a discount. Putting it off gets you nothing. You don't get extra days. You don't last longer than everyone else. All you'll get is a higher price. Poppycock! Horse feathers! Do yourselves a favor and order the Live Feeds now for the low low price of $23.99. Your subscription is effective for the ENTIRE season of Big Brother 16 AND it gives you access to exclusive content you can't see anywhere else. 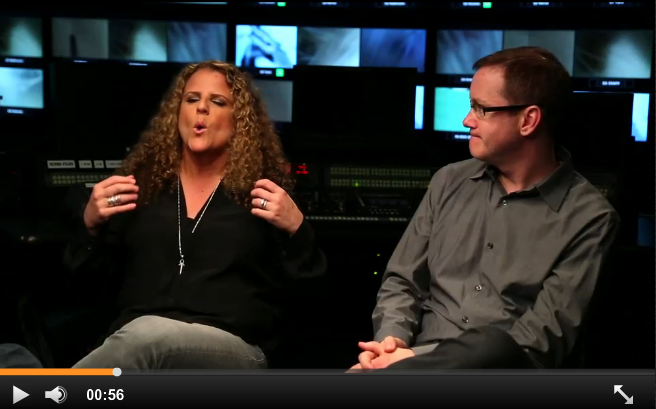 For example, live on the site right now is an interview with Executive Producers Allison and Rich. Watch and listen as they try to justify another season of carefully orchestrated twists and turns... *cough cough* clown shoe *cough cough*... designed to keep the Houseguests on their toes and the game fresh. Now, I'm not psychic or anything but I'm going to go out on a limb and say that there will be exciting and new Challenges such as a Knockout Comp or perhaps visits from Otev and everyone's favorite, Zingbot. My crystal ball is also suggesting that the Houseguests will have to crawl through some sort of goo as they retrieve puzzle pieces. And if I glance over at my tea leaves, I see that there will definitely be a challenge where HG's will have to race up and down a slippery path to transfer liquid via a very small container over to an empty very large container. Surprises around every corner! 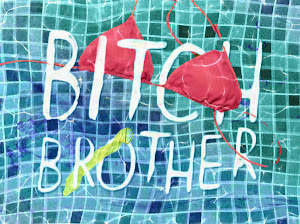 That Big Brother is such a trickster. Nevertheless! We love this kooky show and all of the nutballs they deliver to us each and every season. 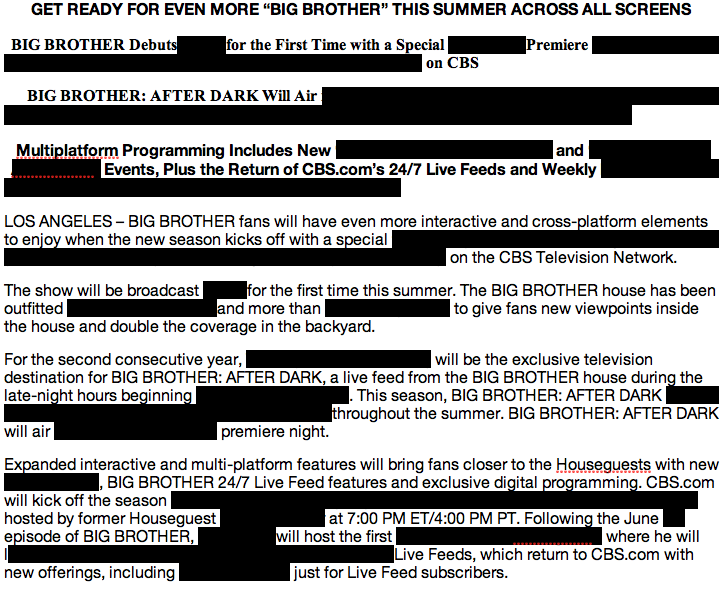 Speaking of nutballs, the Big Brother Gossip Show will be back Saturday, June 21st for our annual Preview Show! We'll break down all of the new HG's and their cockamamie plans on winning the game as well as picking our early favorites. Stay tuned for linkage and show info.